Sarah Silberger, B.A. Bryn Mawr College, J.D. 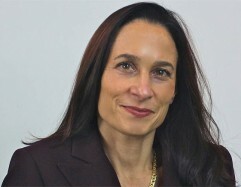 University of Oregon School of Law, Executive Editor of Oregon Law Review, 1994-95, brings a wealth of experience to her representation and client advocacy. Licensed in both Washington and Oregon, Ms. Silberger has eight years of experience carrying on a successful appellate practice and two decades of experience practicing family law. She informs her clients about the law and the possible outcomes of various strategies so they are able to make sensible choices about how to proceed with their legal concerns. She diligently and efficiently pursues her clients' legal interests, while keeping litigation costs to a minimum.